Acorn squash soup. Creamy, smoky, sweet, rich, warming, and nourishing. Plus, it’s dairy-free and only 7 ingredients. That’s right. No milk of any kind (animal or plant) but boy is it so amazing! I’ve been in winter-squash-mode lately. But, who isn’t? I’ve been loving everything from delicata, to butternut, to honeynut (??? recipe coming soon! ), to of course, acorn. They’re just the perfect fall food and can be used in so many different ways, especially when making creamy soup. I was blessed by Shirley Bar Living who was kind enough to let me try out their Ethiopian Tahini. 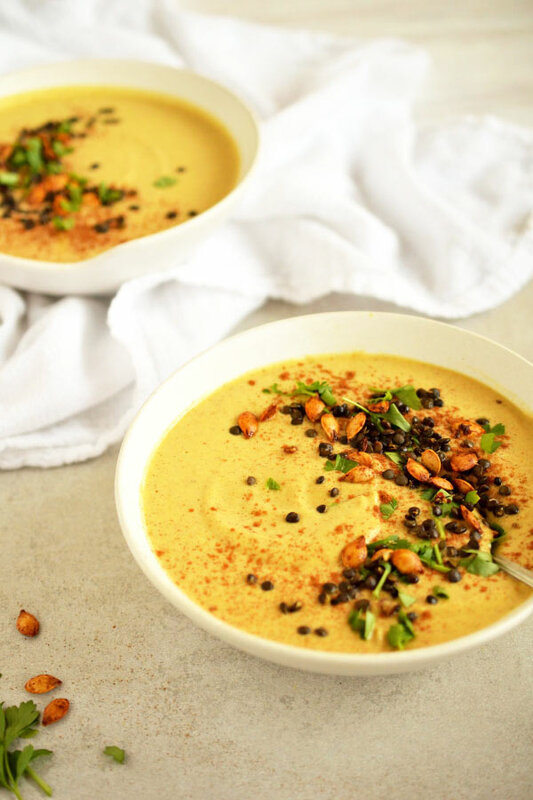 I thought to myself, “how much different can Ethiopian Tahini really be from the regular ole stuff?” Let me tell you, I fell in love! Ingredients = 100% raw, Ethiopian sesame seeds. Nothing else, but it’s the creamiest stuff I’ve ever had. 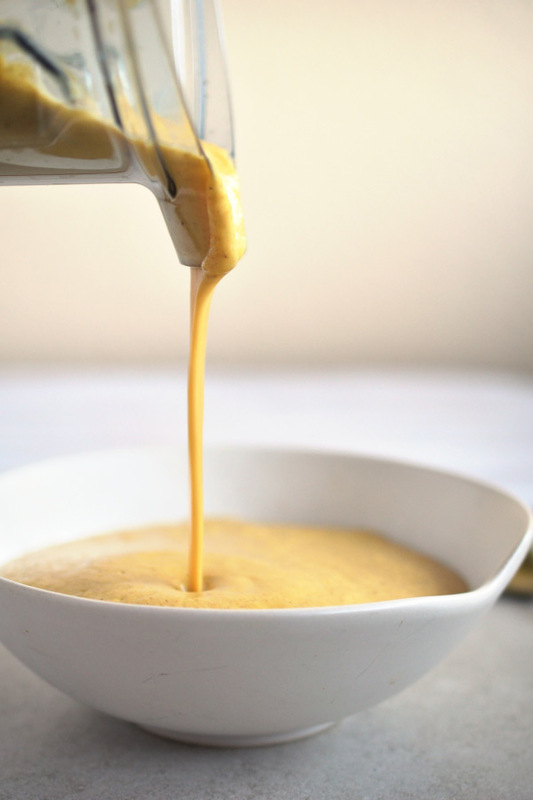 So silky and the tahini makes this soup. Enjoy! Mix acorn squash, garlic, and onions together. Rub down with just enough coconut oil to coat, as much cumin and cinnamon as you'd like, and a good pinch of salt. Use as much of the squash, garlic, onions, and spices as you'd like. Remember, the more of the garlic and onion, the more of that flavor will come out, so if you love it garlicy, go crazy with the garlic! If you want more of a smoky soup, use more cumin, and if you want more of a sweet soup, use more cinnamon. Roast in the oven on about 400° until golden brown. Alternately, you can do this by broiling. Just be careful not to burn! Throw this mix into a blender. Add as much tahini as you'd like! 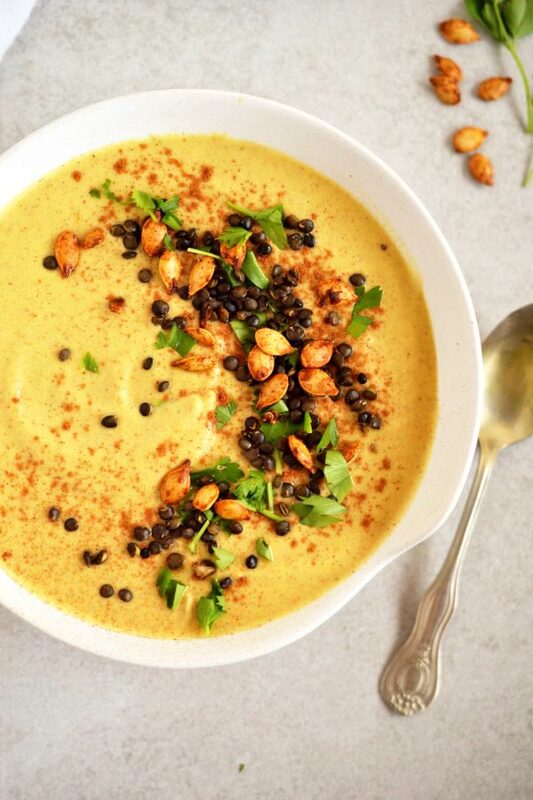 This will boost the creaminess and well as give that amazing flavor that tahini brings. Begin blending will pouring in water. Add water until it is to desired thickness or thinness. Taste. 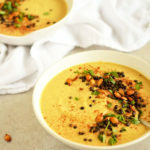 Do you want more tahini? Is there enough salt? Do you want just a dash more of cinnamon? Add more if desired and blend again. A high-speed blender is best for this one to get that super creamy texture - I use a Vitamix.